Site managers at housing developments in Shropshire are preparing to don their aprons and serve up coffee and cakes as part of a charity event. 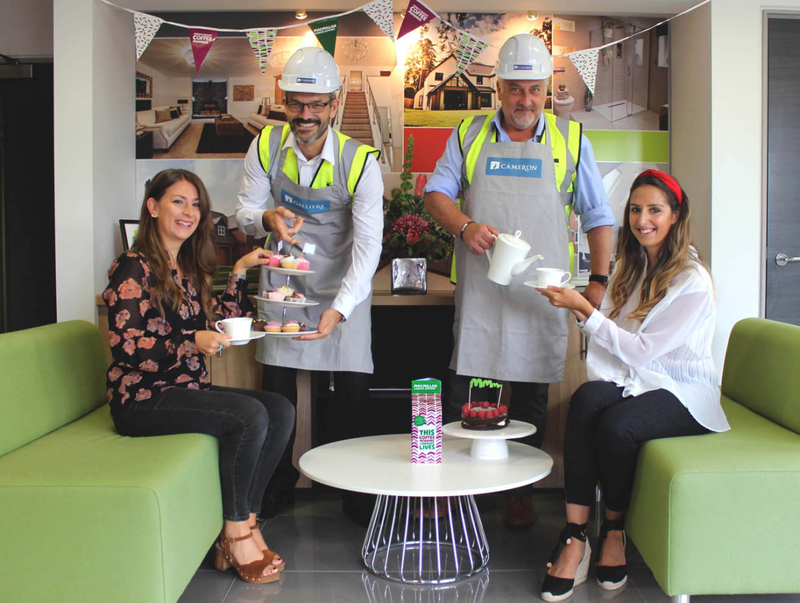 The managers of two Galliers Homes sites are taking part in The World’s Biggest Coffee Morning this month. The initiative is the largest fund raising campaign organised by Macmillan Cancer Support, with the charity asking people all over the UK to host their own events. In 2017 over £27 million was raised and it is hoped this year will be another success. Sonya Bagley, marketing executive for Galliers Homes, based on Shrewsbury Business Park, said that the firm was keen to be involved. “We have ordered special Galliers aprons for the site managers at our Hadnall and Bomere Heath developments to wear so that they can help serve the coffee, tea and cakes to the local community,” she explained. The coffee mornings will run from 10am – 12noon at Abbots Lea in Hadnall on Friday, September 21, and at Bomere Green in Bomere Heath on Friday, September 28.